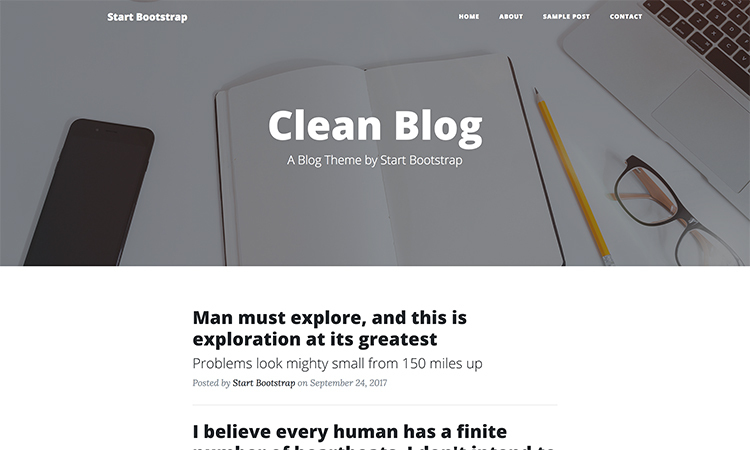 I just finish to port the Start Bootstrap Clean Blog Theme to Textpattern. God is real… unless declared an integer. Very cool. I started a port of that one once but never quite got it finished. After a period of inactivity I had been looking for a nice clean theme. I found the Minimum theme and used it but I wanted something a little less minimal but still fast and clean for another site. This is just what I was looking for! I just spent some time installing it and noticed a couple of comment-related things in the code. Not sure if this is the most efficient way but it seems to work.